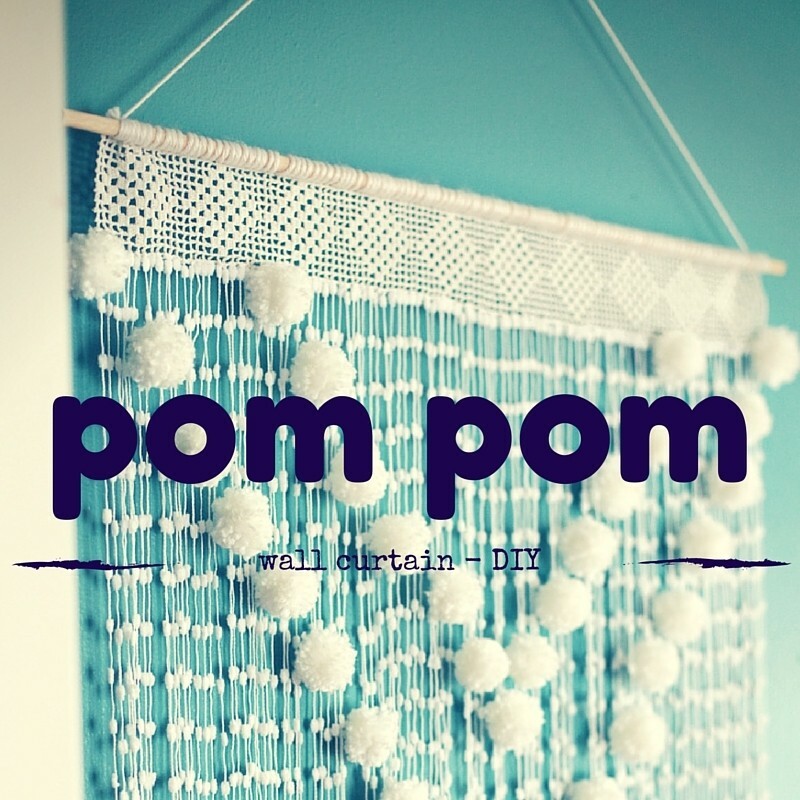 This super cute pom pom wall curtain brings back so many memories of Montana when I was a kid! We weren't there for more than a couple years but so much of Great Falls is in my head and heart for good! 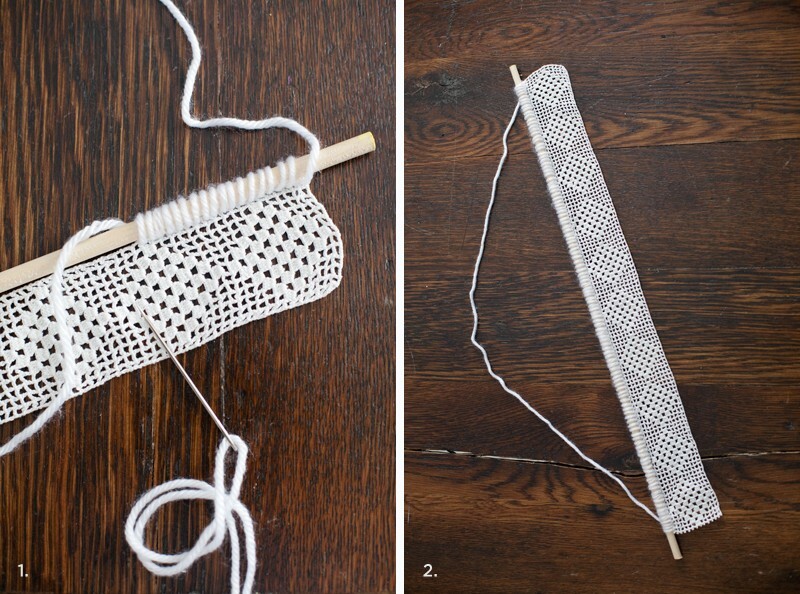 Step One: Loop the plain yarn through the lace and around the wooden dowel. An embroidery or darning needle is helpful for this. Leave a long tail for the next step. If you run out of yarn, knot another length of yarn to your remaining strand and tuck the tail into the looped yarn using the embroidery needle. Step Two: Knot the ends of the looped yarns to secure them in place around the wooden dowel. Then use the tail of the yarn to create a string for hanging. 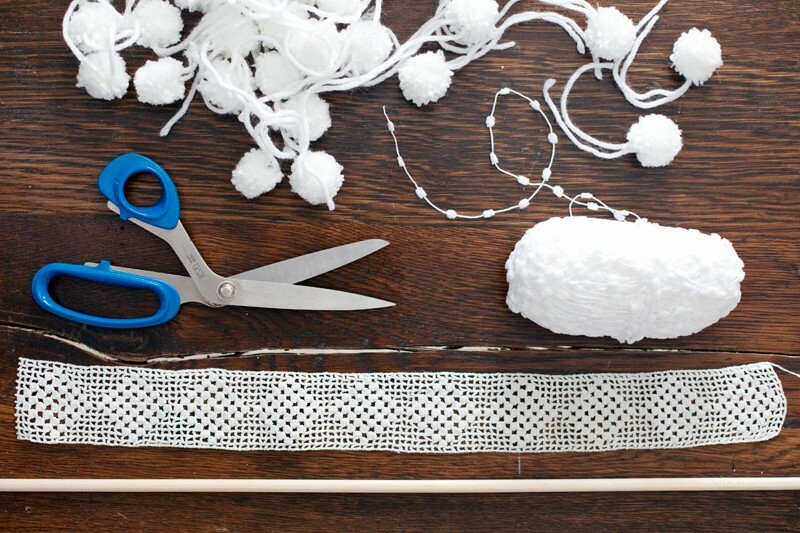 Knot it in place and tuck the ends of the knot into the yarn-wrapped dowel using the embroidery needle. Step Three: Tie lengths of yarn through the openings in the bottom of the lace ribbon. 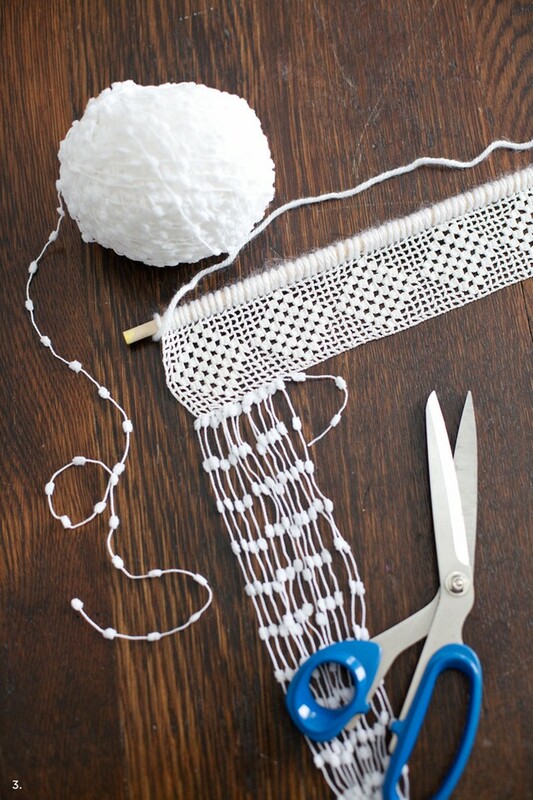 Knot them tightly into place and trim off the excess yarn. Don't worry about keeping the lengths the same—the total length can be trimmed later. 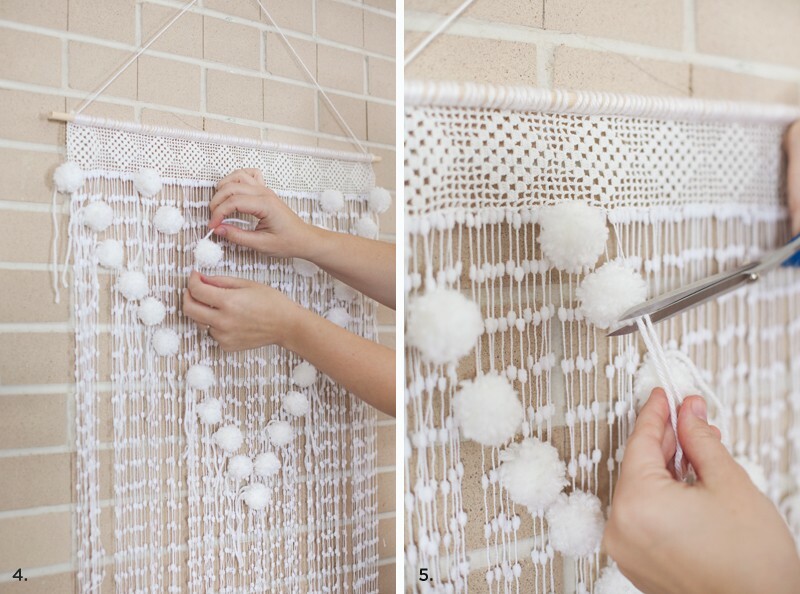 Step Four: Use the tails of your pom poms to tie them onto your hanging yarns, creating a pattern or even trailing randomly. Step Five: When your pom poms are arranged how you wish, knot them into place and trim off the tails. 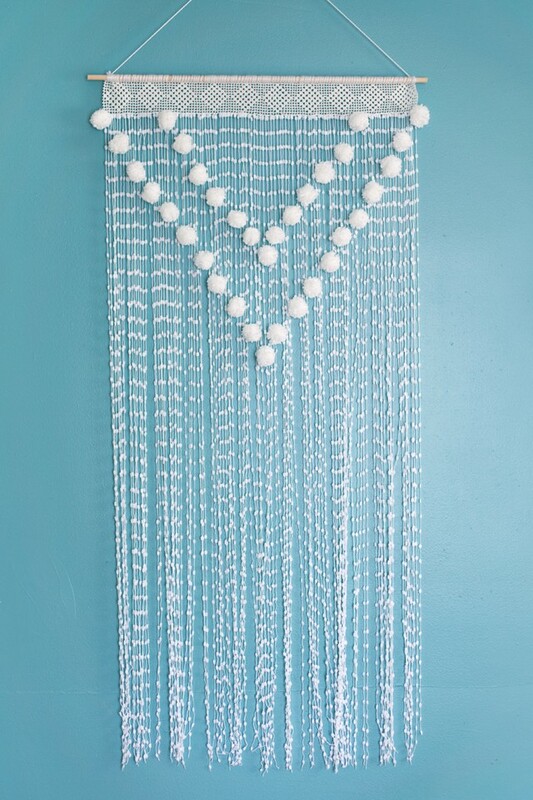 This would look super cute hanging in a baby's room or a small kid. I love this idea. What about for back to school? I know that was a couple weeks ago, but there's never a dull moment when it comes to crafting, diy-ing and getting dorms looking cute. Recent college grad with dreams of building a life with my soon-to-be husband!